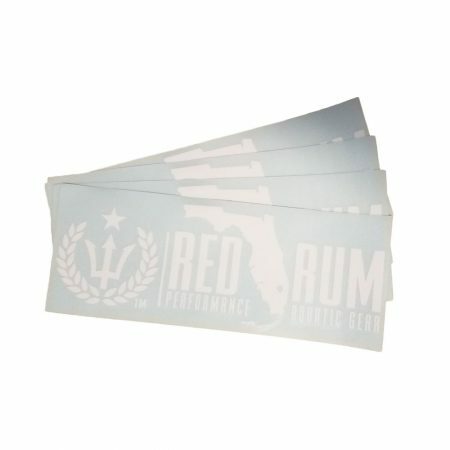 This Red Rum decal depicts a tropical scene accompanied by the famous flamingo beneath a palm tree and blue marlin . 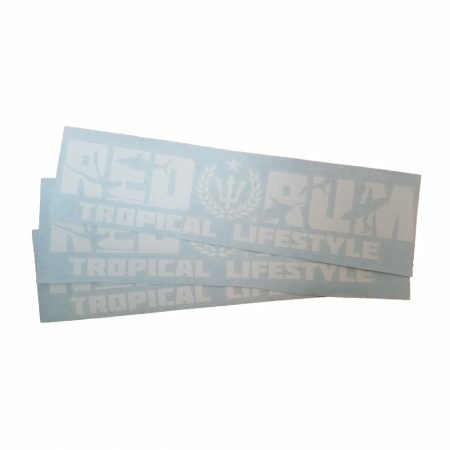 Whether you be a diver, fisherman or surfer, these tropical vinyl decals are sure to help you represent the tropical lifestyle that you live. The famous Signature logo has been used on our Red Rum shirts, hats and now can be applied to everything else you like to add it to! 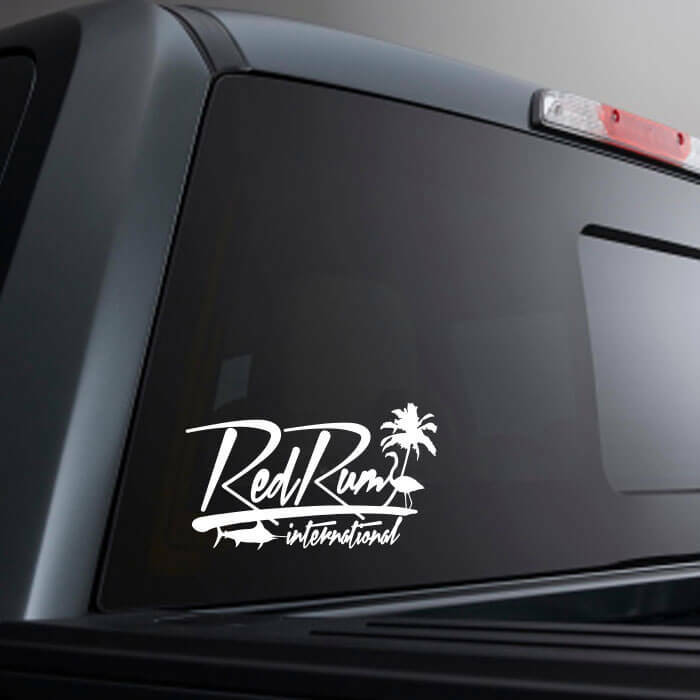 Slap these on your car, truck, boat, board, horse, whatever… They’ll look good on just about anything! Perfect for Boards, Boats, Coolers, Cars, etc.